According to a South African parliamentary committee, work on President Jacob Zuma’s private home was not worth the $23 million it cost taxpayers. 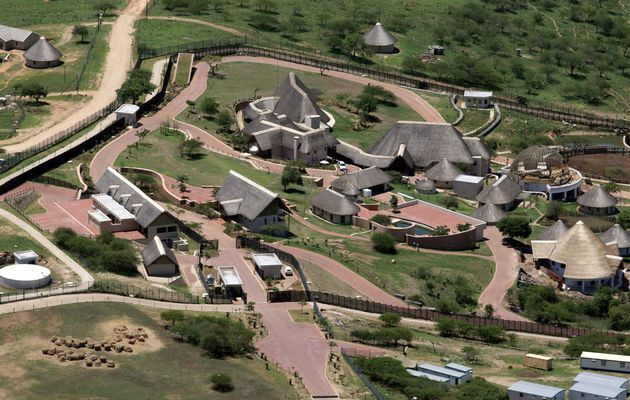 A visit to the residence in Nkandla also revealed that the upgrades suffered from poor workmanship according to the lawmakers. The South African government said the refurbishment was for security reasons. However, a 2014 corruption investigation said President Jacob Zuma “benefited unduly” from state money. Thuli Madonsela’s report found that a pool, chicken run, cow enclosure and amphitheatre had also been including in the controversial upgrades, and she recommended that the president repay some of the money. Police Minister Nkosinathi Nhleko who released a separate report on May 28 cleared Jacob Zuma of any wrong doing saying all work done on the property was necessary for his protection. According to Nkosinathi Nhleko’s calculations, the barracks and clinic outside the president’s property cost $10.8 million to build. Lawmakers from both the governing ANC and opposition parties, who are looking at what steps should be taken following their visit, now agree that the prices were grossly inflated. “We were also shocked with the workmanship of the clinic… At the moment, I would say that facility requires a lot of work because it is clearly visible that money has been wasted,” said chairperson of the committee Cedric Frolick. They do not however agree on who should held accountable for the wasteful expenditure – Jacob Zuma supporters insist it should not be him. Opposition parties, including the Economic Freedom Fighter’s led by Jacob Zuma’s former ally, Julius Malema, have been calling for the president to pay back some of the money spent on non-security features. The lawmakers have been talking about their initial findings but are expected to report back to parliament. President Jacob Zuma has refused to do this as he argues that he did not ask for the upgrades.